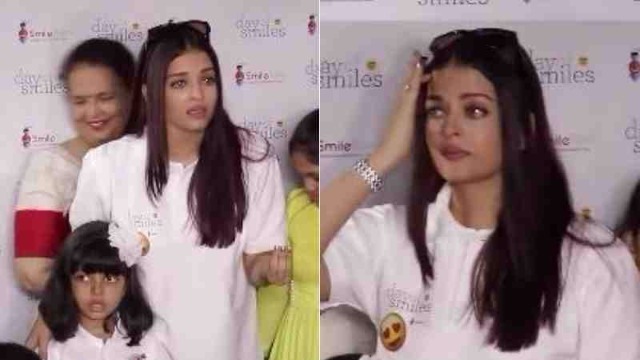 Adamant paparazzi made Aishwarya Rai Bachchan cry at of the charity event. 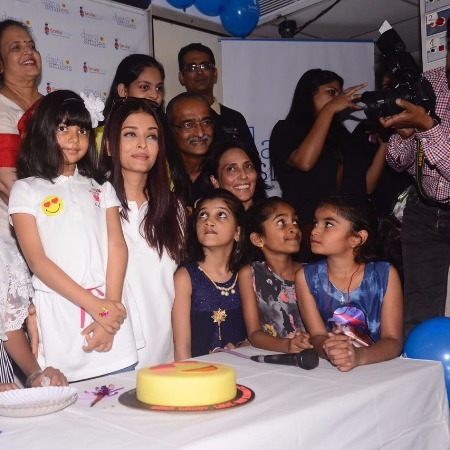 Just after celebrating her daughter Aaradhya’s 6th birthday party, Aishwarya Rai Bahchan with her daughter and mother Vrinda Rai organised a charity event to celebrate birthday of her late father Krishnaraj Rai. Aishwarya Rai Bachchan who was very fond of her father had lost him on March 18, 2017. Aishwarya Rai Bachchan along with her daughter Aaradhya and mother Vrinda were at the charity center named SMILE Train foundation. Mother and daughter wore white t-shirt which had SMILE Train logo embossed on it. 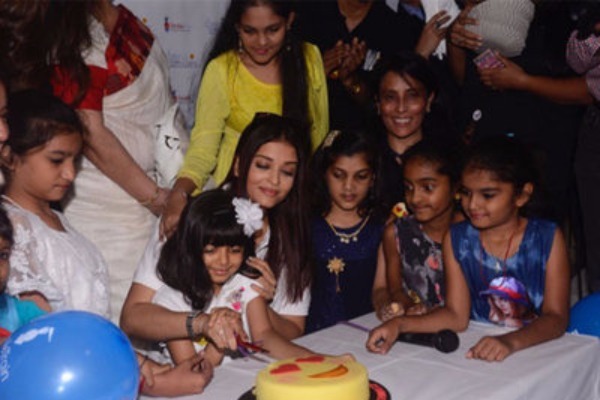 The actress with her six-year-old daughter also cut the cake in remembrance of her late father. The 44-year-old actress wanted to spend a day with the children keeping the event private but, it turned into sour one when paparazzi barged and started clicking photos. Aishwarya Rai constantly requested the shutterbugs to keep their voice down and not to click pics. When things went out of control, she broke into tears and slammed the shutterbugs to get off the event as this not a premiere or any public event to click the photos. She even reminded the shutterbugs that there are children over here who may get scared and you should respect the privacy. When Aishwarya Rai’s father was alive, he used to accompany his daughter to Smile Train events. It’s quite understandable how the family must be emotionally connected with the event and of-course it was her father’s birthday yesterday. The Jazbaa actress who is a goodwill ambassador for Smile Train also decided to sponsor 100 surgeries for children born with cleft lips and palates. Recently, Abhishek Bachchan too had a close encounter with the paparazzi while trying to click indecent pics of wife Aishwarya Rai Bachchan. Next : ‘Kahaani Ghar Ghar Kii’ Stars Kiran Karmarkar-Rinku Dhawan To End 15 Years Of Marriage?